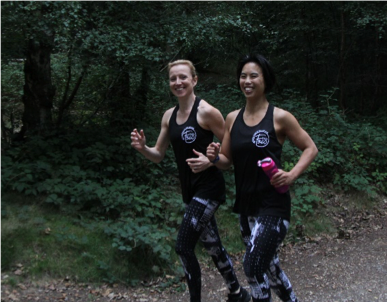 In this post, we ask MNC Members Norma and Claire about their business: F360 Hub and the journey to launching across West Sussex. What did we do before we launched F360 Hub ? Norma had a 15-year career working with horses and subsequently moved to office administration, before becoming a fitness professional. Claire had a 20 year career in policing, safeguarding and child protection before becoming a fitness instructor and professional. Between us they have a wealth of experience and the one common passion; the benefits of physical activity and exercise as a key to mental and physical well-being. How did your business dream come to light? Our business dream coming to light felt like a moment of magic! In the Spring of 2018, we were simply friends having morning coffee. We were planning our training for the 52 mile London to Brighton bike ride, and deciding on a local charity. We talked through the issues that were most affecting those around us, the difference that a regular exercise routine has on overall well-being and in particular the importance of maintaining mental wellness through physical activity. Through this we realised that were both passionate about the health of the mind being as important as the health of the body for overall well-being. We felt that this was a gap in the market that was not being fulfilled by leisure centres and gyms. This was the moment of magic… the moment when we decided to launch F360 Hub ‘Caring fitness for mind and body’. 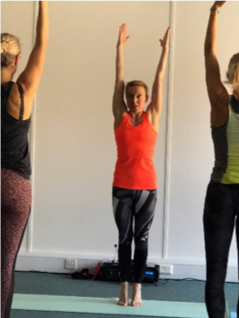 Based on research for mental wellness, we decided to launch ‘Stretch and Relax’, ‘My Kind of Yoga’ and Pilates sessions into the community, schools and business to help people feel happier and healthier. From this moment, there was no stopping us! We selected Coastal West Sussex Minds based in Worthing as our charity for the bike ride because the funds are for local services. Within 2 weeks we set up the company, created our website, were selected by the University of Chichester for a 6 month business hot house programme, booked our first venues, programmed in our Continuous Professional Development for fitness instruction for the year and we began advertising. We were both really excited and very committed to the cause. We love the freedom that we have on the direction of the business based on what our customers are telling us that they need. We are constantly researching and developing our services to be in line with what our customers are asking for and what they say they need help with. We can use our own creativity to help customers including those who ask for help into exercise, into a routine or to simply feel less fatigued or less tense. We have introduced 1:1 sessions and ‘Back to Basics’ workshops, with more services currently being developed. By helping customers to feel better in this way makes us feel as though we are adding incredible value to their lives which is where the reward lies for us. What do you want to achieve with Fitness Hub 360? We are striving to achieve to make a difference to the quality of the lives of children, teens and adults. Equipping people with the knowledge, skills and understanding to manage their well-being through physical activity and exercise that can change their lives. Being able to give people the tools and empowering them to look after themselves is a gift. This empowers people maximise opportunities and resilience for dealing with their daily lives and challenges, while maintaining health and happiness. What is your vision for Fitness Hub 360? Our vision is to have a ‘one stop shop’ for well-being. This will offer physical activity and exercise services related to all aspects of well-being conditioning. When children, teenagers and adults feel in need of support due to periods of stress, anxiety, mild to moderate depression, pain, having a one-stop shop helps to minimise these feelings of stress and expediting the road to a better place for them. What is your key goal for 2019? Claire – buying new items of gym kit and having to secrete them around the house to hide them from my husband – shhhhh! Connect with Norma and Claire online!